If someone only goes on short rides, or they rarely use their bike, they might not pay much attention to the bike saddle, also called the bike seat. It’s just a part of the bike, something that came with it, and they never give any thought to changing it. However, if you cycle for more than a mile or so at a time, you will quickly learn that having a quality bike saddle is going to make a massive difference in how you feel. An uncomfortable saddle is going to make cycling less enjoyable, and it even has the potential to lead to injuries if you are not careful. Over the course of the article that follows, we will be examining some of the very best bike saddles on the market today. In addition, we will then be exploring some of the main factors that you should consider when you are choosing a bike saddle. The goal is to make sure that you have all the knowledge you need to make a good decision when you are choosing a replacement bike seat. Fizik Aliante Gamma Kium Rails Road Cycling Saddle with Team Logos Carbon reinforced nylon 265x142mm Road, touring Check on Amazon! Fabric Scoop Pro Saddle Nylon or Carbon fiber with PU foam cover 282x142mm Road, recreation mountain, cyclocross Check on Amazon! Brooks Cambium C17 Carved all Weather City/Touring Bicycle Saddle Vulcanized natural rubber and organic cotton canvas, with a fiberglass backplate 283x162mm Road, recreation, touring Check on Amazon! 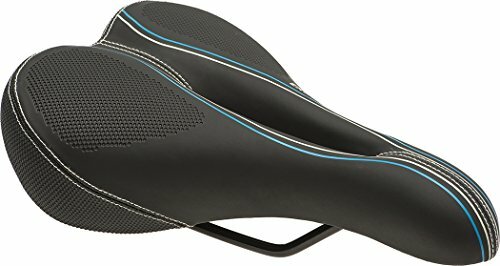 Bell Memory Foam Saddle Varies based on style – gel, memory foam, etc. 266x202mm Road, recreation mountain Check on Amazon! 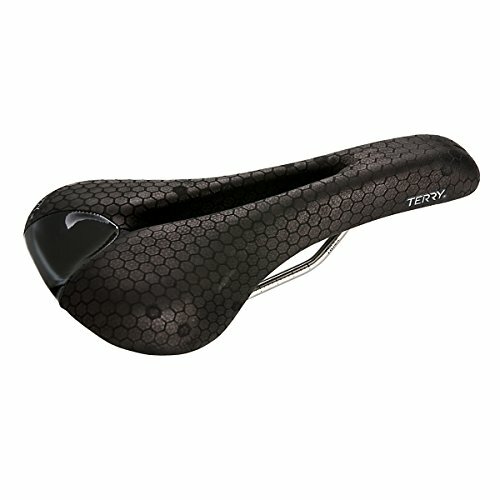 Terry Men’s Fly Ti Saddle 2016 Foam padded with black textured leather 277x149mm Road, recreation mountain Check on Amazon! 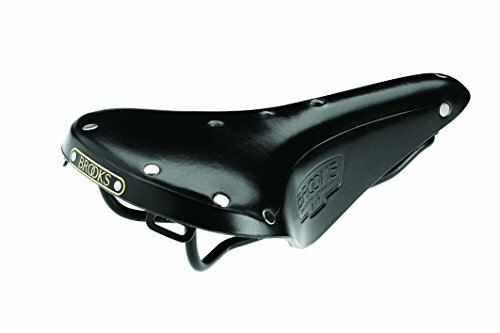 Brooks England B17 Standard Steel Saddle Leather and steel rails 271x165mm Road, recreation Check on Amazon! WTB Speed Saddle Dual compound soft shell base with padding 145x265nn Road, mountain, commuter Check on Amazon! 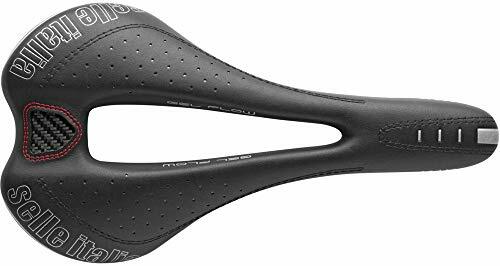 Fizik Arione K:IUM Rails Road Bike Saddle Carbon reinforced nylon and synthetic suede Microtex 300x130mm Racing, cyclocross Check on Amazon! Selle Italia Max SLR Gel Flow Vanox Made from 10% carbon composite, 280x150mm Road, mountain Check on Amazon! Planet Bike Men’s A.R.S. 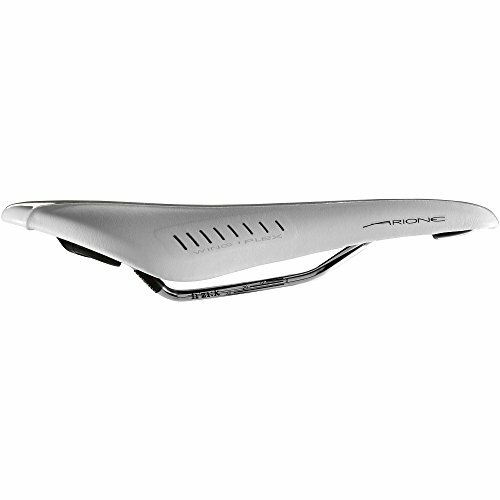 Anatomic Relief Bicycle Saddle Steel rails, foam padding, and a Lycra cover 270x165mm Road, recreation commuting Check on Amazon! Sunlite Cloud-9 Bicycle Suspension Cruiser Saddle Dual density gel foam padding and chrome coil spring suspension 266.7x266.7mm Road, recreation, cruising Check on Amazon! 13 When Should You Replace Your Bike Saddle? 14 Why Is Replacement Important? You will find that there is a lot to enjoy when it comes to this bike saddle. It is a high-quality, highly durable seat that has a shell made from carbon reinforced nylon. 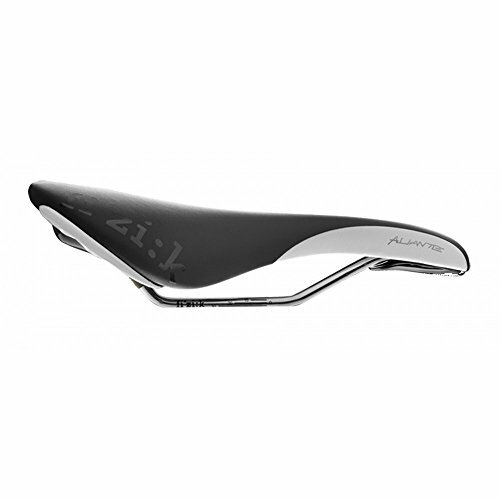 This is a road saddle for road riding, and it features a K:IUM rail, a type of proprietary rail formulation that can offer a slight weight reduction to the saddle. The seat also features Twin Flex Technology. The shape and design of the seat help to ensure riders will remain comfortable even when they are riding for hours at a time. It will work very well for riders that tend to have more rigid spines and that have less flexibility in the lower back. The seat is well-constructed and built to last. One of the other nice elements about this seat is that it happens to be aesthetically pleasing. This black and white seat will look great on your bike. This is one of the most popular bike saddles available today, and it comes from Fabric, a well-known brand. They offer two different options for the base materials – nylon and carbon fiber. In addition, they have varying rail options, the lighter being the carbon fiber rails. Another feature that makes the Scoop a popular option is that it comes in three different shapes, which vary in their curvature. You can choose from flat, shallow, and radius options, making it easier for people to find one that will work well with their bodies and riding style. There is plenty to love when it comes to this saddle. It is a waterproof and weatherproof seat, so you can be sure it will work well no matter the conditions you might find yourself in. Those who choose the C17 will also find that it is a durable and sturdy saddle that can provide riders with a very stable and comfortable base as they are riding. Another feature that makes this a quality seat is the loops on the fiberglass reinforced backplate. These could be used to hold a saddlebag or other accessories that you might want to take with you. Brooks has been around for well over 100 years, and in that time, they have built a solid reputation in the field. The seat has a hole for pressure relief and to provide more flex, which means it is going to be a very comfortable option for riders everywhere. Without a doubt, one of the elements that makes the Bell bike saddles as popular as they are is the price. When compared with many of the other high-end seats available, the price of the Bell Seats, such as the Comfort Sport and the Cruiser are much cheaper. Those who need to have a new seat and who are on a budget will certainly want to consider these seats. There are a range of seat options from Bell. In addition to the Comfort Sport and Cruiser, there is the Comfort Wide Cruiser, Comfort Lighted, and Comfort Memory Foam. The Recline Gel and the Recline Memory Foam are popular, as well. The shape of the seats could make them a good choice for road riding, and for mountain biking. They are ergonomic and comfortable for riders, and they tend to be easy for you to replace. This saddle is striking to say the least. The black textured leather with the fly graphic looks great and can provide an added level of aesthetic appeal to your bike that you may never even have known you wanted. This is a lightweight saddle that is made from foam to provide riders with pressure relief. There is a center cutout through the nose and the middle section of the saddle. This helps to provide the bike with some additional flexibility, which means more comfort. You will find that the molded foam toward the rear of the seat tends to be stiffer, though, which can provide the rider with some additional power while pedaling. The bike saddle features Ti:316 rails, and it only weighs about 8.5 ounces, so it will not add a lot of weight to the bike. It is comfortable, looks great, and is built to last a long time. This is the most popular model from Brooks. The B17 and the B17 S for women have a lot going for them that helps to make them a fantastic option for riders, including those who are going on long rides. The seats are all handmade in England and they feature pure vegetable tanned leather. They offer powder coated black steel rails along with a high level of comfort. The leather can flex and stretch, while the bag loop allows accessories and other materials to be placed on the rear of the saddle. Another nice feature of this seat is something that you do not see in all of the bike saddles today, and that is multiple color options. You can choose more than just black. Your other options include green, blue, brown, honey, red, and royal blue. Those who have been searching for a beautiful saddle, whether black or another color, and who want something that will be comfortable, will surely love the B-17. 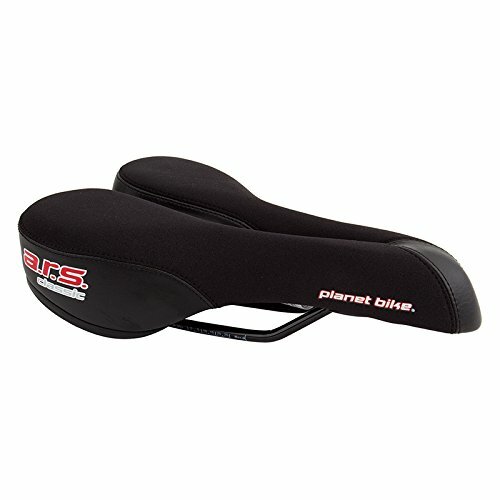 This bike saddle offers a soft shell base along with plenty of padding to help ensure comfort. It also has a nice shape, which makes it easier on the body, especially during longer rides. 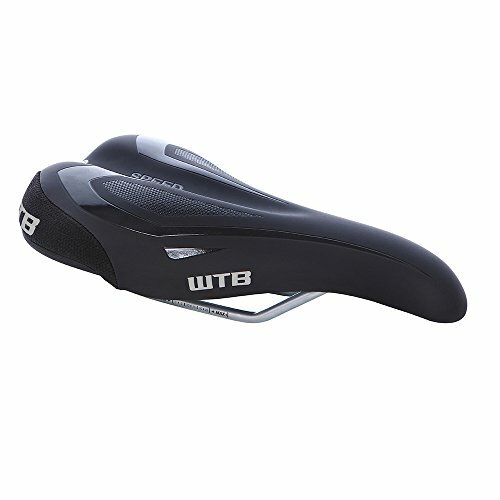 The price for the WTB Speed Saddle will vary based on the actual style that you choose. You will find five distinct styles available and can choose the one that will work best for you. Options include carbon, comp, pro, race, and team. It is a good idea to look at all of the options to find the right choice. Overall, this is a comfortable and durable saddle, and there is enough of a price and style range that there should be options that can work for nearly everyone. This seat can work quite well for those who are into racing, and for those who are into cyclocross, as it does not have a cutout that could cause issues with mud. The saddle does not have the same level of comfort that some of the others on this list have, making it less suitable to those who will be riding for long periods. 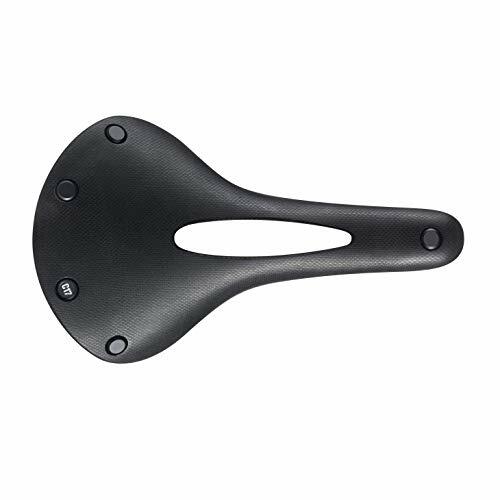 There is a lot to love about this bike saddle, as it provides some features that you don’t always find with these types of seats. There is an anatomical cutout which can provide riders with the added comfort that they need if they hope to stay on the bike for a long ride. One of the other advantages of this cutaway is that it will help to reduce the weight of the seat. The saddle also offers self-molding padding, a quality shell, and elastomers that can help to absorb road shock and vibration, providing a better ride. Even without springs, it offers a quality suspension system. Another nice feature of the saddle is that you will have two color options from which you can choose – black and white. Besides just having an incredible name, the A.R.S. happens to be a quality seat that offers foam padding along with a flexible base. It can provide riders with the maximum comfort and support they need for longer rides. 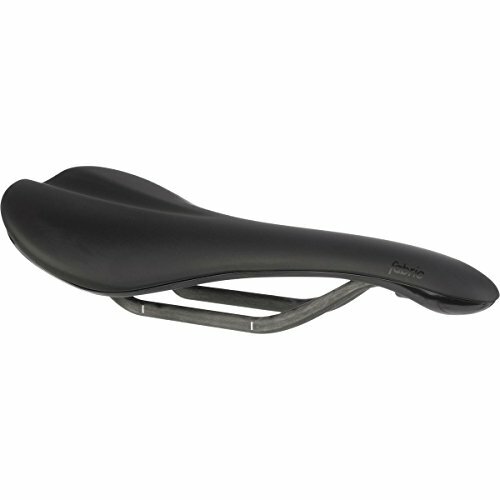 The saddle features a full-length center recess with a cutout area for anatomical comfort. The seat also happens to be durable, as it has a Lycra cover with abrasion resistant side material. This seat has been around for decades keeping people comfortable, and in that time, it has built up a solid reputation. Coupled with an affordable price, this might just be the perfect bicycle seat for your needs. Even looking at this bicycle saddle, you will see that it was made with comfort in mind. This is a large saddle in terms of the length and width, but it is also large when considering the amount of dual density gel foam padding that it features. This would make it a truly comfortable bike saddle already, and it gets even more comfortable thanks to the chrome coil spring suspension. 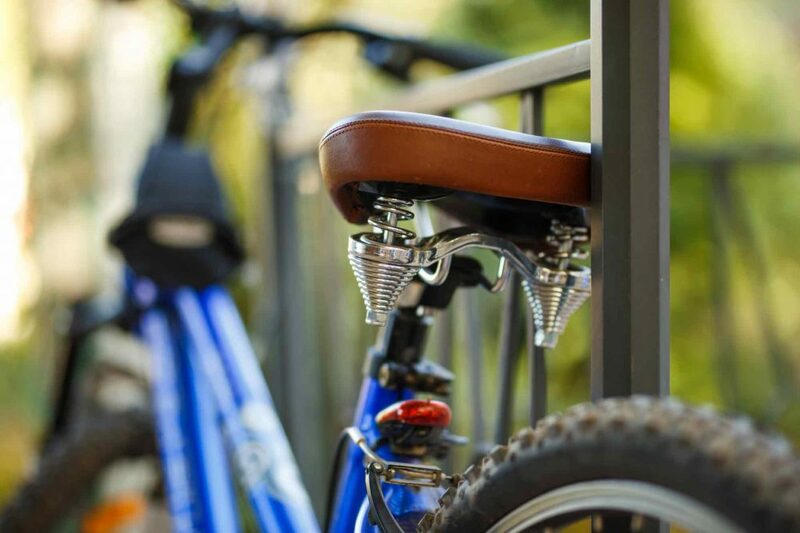 It has a universal design, which means it will install on any standard seat post. This seat will provide you with a smooth ride and all the comfort you could want. When Should You Replace Your Bike Saddle? While you might know more about some of the best bike saddles available, you may not know how often you should replace your seat. Unfortunately, there is not a simple answer to this question. Seats will wear out more often or less often based on the amount of riding that you do, the type of material that the seat is made from, and the amount of care that you provide the saddle. Naturally, there could be outside factors, such as accidents, that could cause a saddle to need to be replaced. You can’t use the number of miles that you have ridden as a reliable measurement, even though it seems like it could be a good option. The reason for this is that the quality of the saddle is going to vary when you first get it. A person’s weight and size, along with the saddle’s size and weight can break the saddle down in different increments. Some simply last longer than others. Therefore, you will want to rely on another method – your own comfort. As you are riding the bike, pay attention to how comfortable you are when you are traveling at different distances. When you feel that the comfort level starts to diminish, it is time to get a new saddle, simple as that. If you have a poor quality bike saddle, it can cause more problems than you might imagine. For starters, it is not going to be as comfortable, which means you are going to be uncomfortable when you are riding, and you will not want to do it as often. It could also cause injury if the saddle has degraded too much. It could restrict the flow of blood, cause numbness, and other issues. Therefore, you not only want to have a new saddle when your old one has become worn, but you want not be sure that you have the right saddle. As you start to peruse the various bike saddles available, you will find that there are specific saddle types for specific types of riding. Sure, some of the saddles are better suited to certain jobs than others, and some can work well for many types of riding. However, when you are choosing a saddle, it is important that you find one that will work well with the type of riding that you generally do. Recreational seats are very common, as this is how many people choose to use their bike, or at least one of their bikes. These are seats that would work well for those who tend to sit upright in their seat most of the time, and who may only need to be on the bike for a short time. These can work well for commuters. They tend to have padding and springs, but that it not always the case. Road saddles are a good option for those who tend to put a lot of miles on their bike regularly. These types of seats will often be longer and narrow, and they will have less padding. They will also be lightweight, which can help to lower the overall weight of the bike. Mountain saddles can vary in their style, but you will want to find one that is streamlined, and perhaps even one that has a cutout in the middle. This lightens the weight of the bike further, which is nice. These types of saddles could work well for those who participate in cyclocross, too. Additionally, there are some saddles that may be gender-specific. Women often have wider hips than men, along with smaller bodies, and they could benefit from saddles that are specifically geared for women. Men may want to find saddles that will work well for their anatomy. Many types of cushioning is in use today, but two of the most popular types are gel and foam. It is also possible to find saddle pads, which you can place over the saddle to provide some added cushioning and comfort. This can work well in a pinch, but since saddle pads are not truly a part of the seat, it often means that they are going to move around too much while riding, and they could end up sliding to an area where they are not doing you any good. The foam cushioning is popular because it tends to be thick, offering a plush feeling when you are riding. Road riders tend to like foam cushioning due to the support it provides. Those who go on long rides, as well as those who weigh over 200lbs or so may want to choose firm foam, so it doesn’t get compacted as quickly as other materials, including softer foam. Gel cushioning is also popular, as it has the capacity to mold to the body and it can provide fantastic levels of comfort. This is common with recreational riders that might only be on the bike for an hour or two. After some time riding, the gel will get compacted faster than foam, which is one of the only downsides of gel. Whether you have a new saddle or you still have your old saddle, you might have discovered that it doesn’t feel comfortable. Sometimes, it is the quality of the saddle. Other times, it could be because you need to make some adjustments. The angle of the saddle might not be correct, for example. The saddles are typically adjustable thanks to the seat clamp that’s under the saddle. You may want to loosen up the screw, which allows you to tilt the seat forward or backward. Tilting the saddle one way or the other, even slightly, could help to make riding more comfortable for you. It may be in your best interest to try some different angles. Along the same lines, you will want to consider whether the saddle is too high. If it is, this can end up causing pain and discomfort when you ride and after you get off the bike. Adjust the seat height to see if that helps. When you are shopping for your bike saddle, you should consider the factors that we mentioned above. What type of riding do you do and how often do you ride? What types of seat have you used in the past? Was it comfortable or not? Consider the brand of the company, as well, to determine whether they have built up a good reputation in the field. Just keep in mind that brand is not everything. Make sure you check out some of the customer reviews, too, as this can give you a better idea of what it will be like to use the saddle, as it is coming from another rider’s perspective. By now, you should have a much better idea of just what you should be looking for in your bike saddles, and you have a great list of options where you can start your shopping. 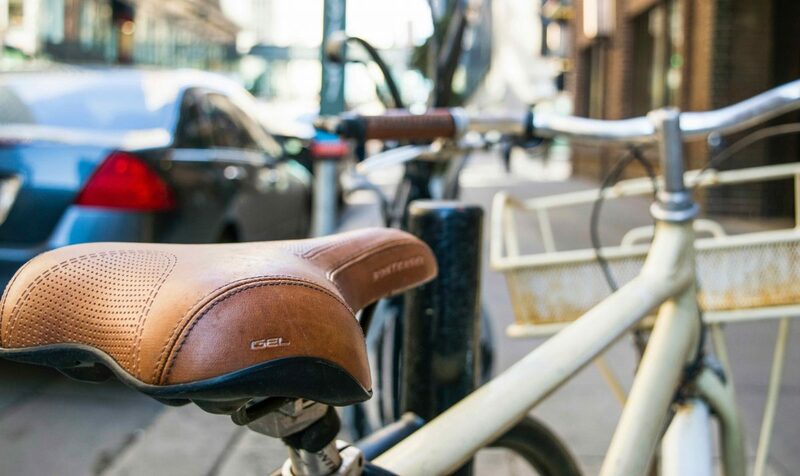 Take the time to find a bike saddle that will work well for your needs, no matter where or how you ride.